Getting packages in the hands of online shoppers while alleviating traffic congestion is the goal of a team of UW CEE transportation researchers, who are on the road to making this a reality. To address growing urban congestion in Seattle, which stems from a rapidly growing city coupled with an increase in online shoppers, researchers in UW CEE’s Urban Freight Lab, which is part of the Supply Chain Transportation and Logistics Center, joined forces with Seattle Department of Transportation (SDOT). In their recently released report, the researchers address a challenge called the “Final 50 Feet.” The term describes the complicated last leg of urban deliveries, when a delivery driver must locate both parking and customers- both of which tend to be time-consuming and can lead to traffic congestion. To inform their research, the team mapped privately owned delivery infrastructure, revealing that 87 percent of all the buildings in downtown Seattle and the nearby vicinity do not have loading bays or docks. 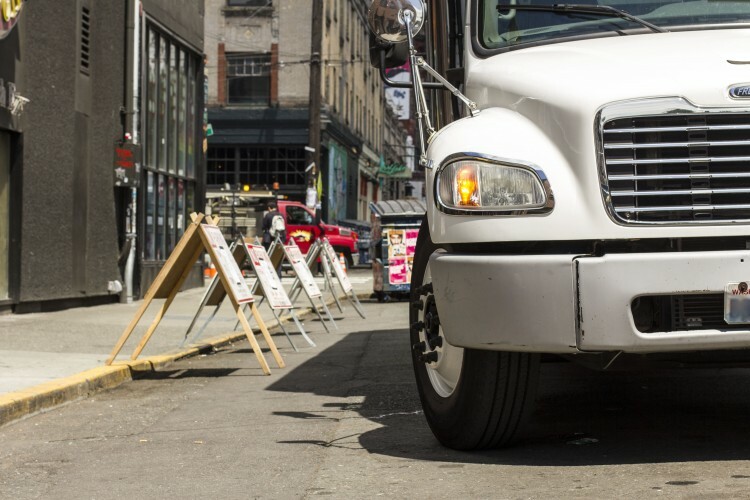 Delivery drivers must therefore rely on the city’s curb and alley space to accommodate truck deliveries. In addition, the researchers also tracked deliveries in downtown office buildings, finding that delivery drivers spend up to 73 percent of delivery time on tasks such as clearing security, riding elevators and looking for tenants. This spring, the UW researchers and SDOT will test improvement strategies at Seattle Municipal Tower, where they will pilot a smart locker system. Delivery drivers will be able to securely leave packages for tenants to pick-up at a convenient time.